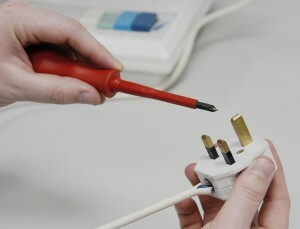 Pat testing (Portable Appliance Testing) is an important part of any health & safety policy and at Avon Electrical we have built a solid reputation for our quality of work throughout the Burnley and East Lancashire and our rates are highly competitive. We pride ourselves on workmanship and reliabilty and we work swiftly to ensure the minimum of disruption to your daily routine and where necessary we can work out of hours. Avon Electrical Ltd provide PAT testing services to companies, schools, educational institutions, landlords, letting agents and many other types of organisations across the region. Each member of our team is certified in the IEE code of practice for in-service inspection & testing which enables us to carry out PAT Testing on any portable appliance, such as Power Tools, Computers, Printers, Kettles, Shredders, Photocopiers and any other office electrical equipment. The system we have in place ensures that each and every one of our clients receives a prompt service without any disruption. We also provide each customer with a detailed testing report which confirms the status and location of each appliance or piece of equipment tested. Every appliance is comprehensively tested by a fully trained and experienced technician. The technician will certify that the appliance conforms to the current required specification and a detailed report is then issued confirming the status of each appliance.